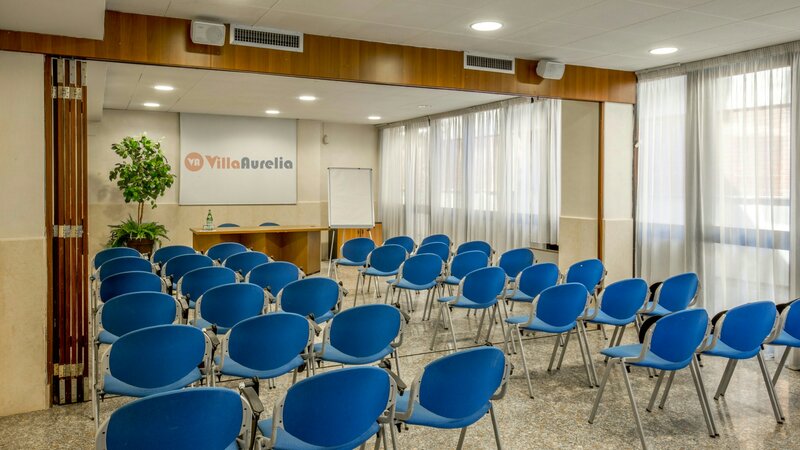 The Villa Aurelia’s modern Conference Centre offers large indoor and outdoor spaces, ideal for events and conferences, and has 6 meeting rooms with high-speed Internet and Wi-Fi connection. 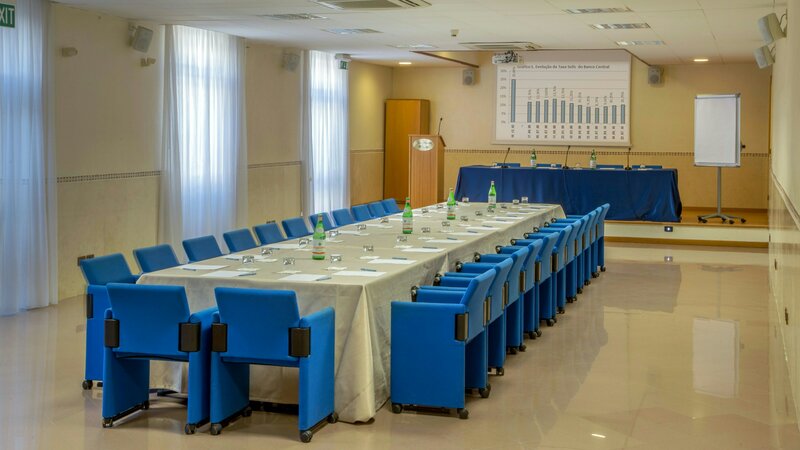 The different-sized meeting rooms, designed to meet all your needs, all have natural light and are equipped with comfortable seating for participants, a projection screen, audio system, microphone and external reception desk. 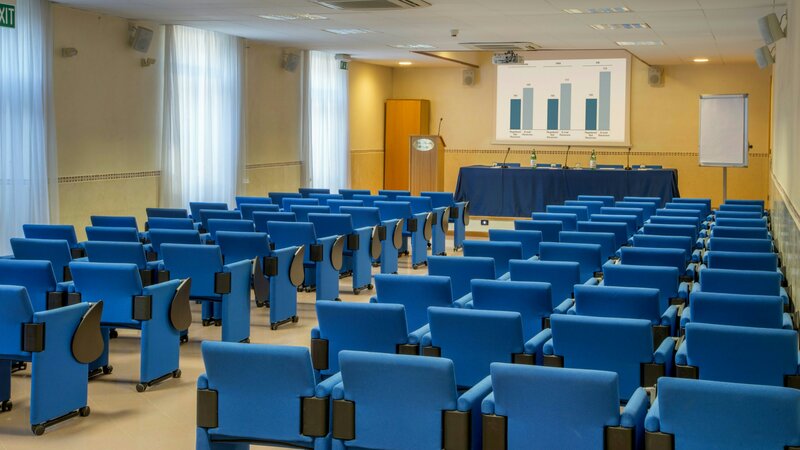 Upon request, it is also possible to organise a video projector, maxi-screens, catering service, coffee breaks and ad hoc accessories. 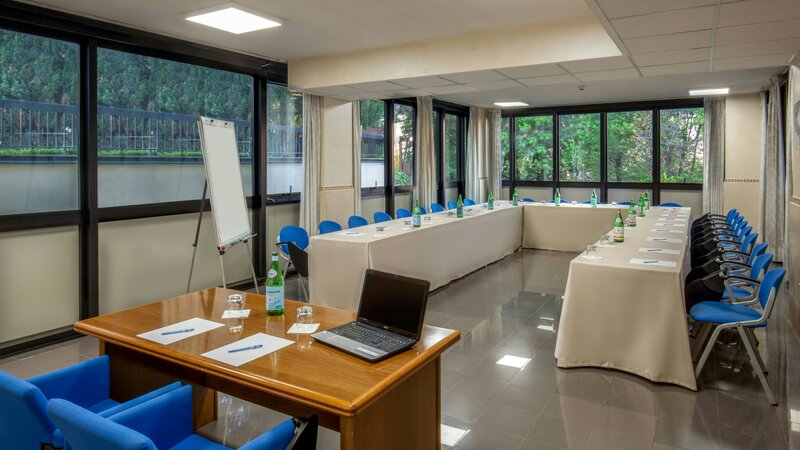 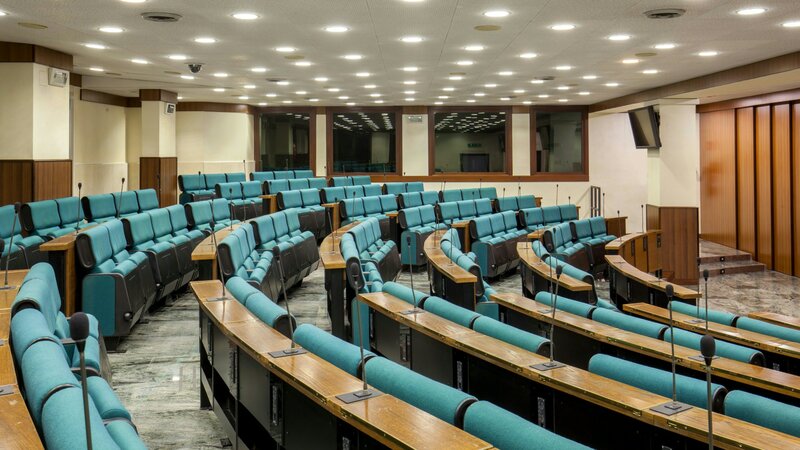 For more particular needs, the Anfiteatro Room is our tour de force: equipped with state-of-the-art technology, it has 6 simultaneous translation booths and other adjoining rooms suitable for work groups, workshops or a press office.